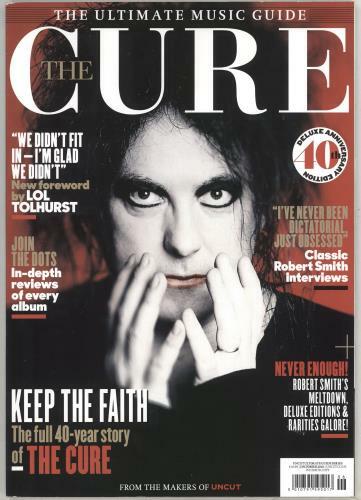 THE CURE The Ultimate Music Guide (December 2018 UK Special Collector's Edition 146-page magazine from the makers of Uncut, released to celebrate the bands 40th Anniversary, featuring the complete story of their career including in-depth reviewsof every album, classic interviews and more plus a new foreword by Lol Tolhurst. Packed with fantastic photographs throughout, the magazine remains in 'as new' condition). or visit our The Cure image gallery.